Are you in need of a local locksmith in Millsboro? The team at Pro-Lock and Safe would be happy to answer your call! From rekeying the locks at your business to installing new locks at your home to helping out when you locked your keys in the car, you can count on our team of professionals to be there to help when you need it the most. Regardless of the situation you find yourself in, you can put your trust in our three decades of experience working in our industry to make sure that you get the help you need. At the end of the day, we want you to be confident in your decision to work with us. We love working in the great state of Delaware and as such, we are licensed, bonded, and insured to do the work we do in this state. That means that no matter the size of the job, you can count on us to get it done the right way. And speaking of which, we want you to know that no job is too big or too small for us to handle. We will handle the work with a smile on our face either way. 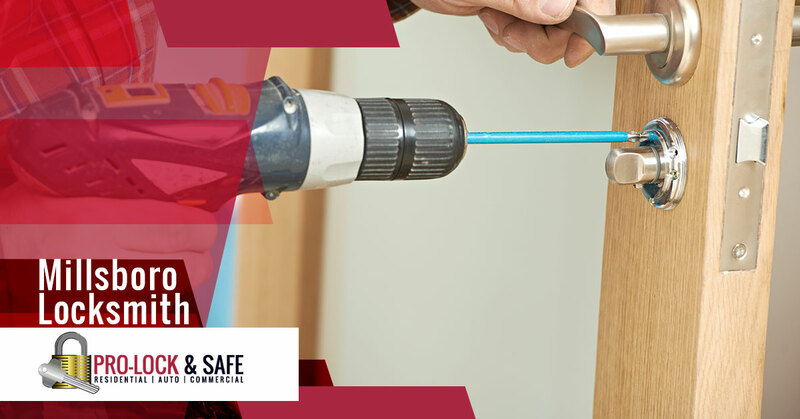 When you call Pro-Lock and Safe, just let us know what type of work you need done. We’ll give you a timeframe for our arrival and a free quote so you can know exactly what to expect from us. It’s as simple as that! Whatever the job, we can help. As your local 24-hour locksmith in Millsboro, you can rely on us to get the job done the right way the first time around. If you’re in need of assistance, don’t hesitate to get in touch with us today. We look forward to hearing from you!